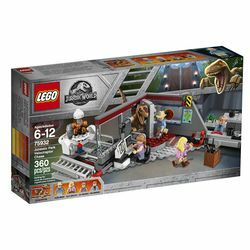 75932 Jurassic Park Veloricaptor Chase is a Jurassic World set to be released in 2018. It is based on the original Jurassic Park film to honour its 25th anniversary. Facts about "75932 Jurassic Park Velociraptor Chase"